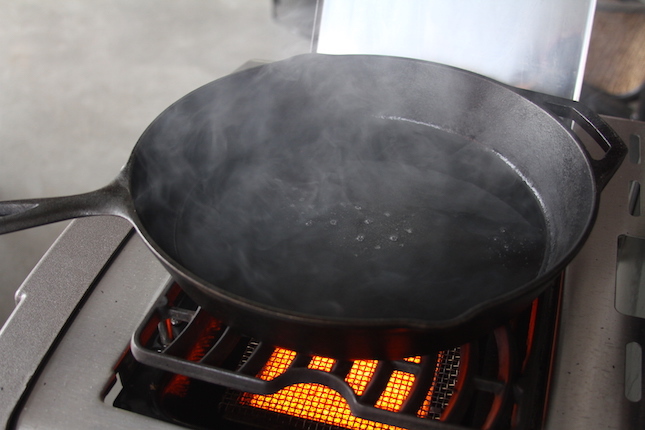 Step 1: Preheat a Lodge Logic 12” Cast Iron Skillet over high heat on the infrared SIZZLE ZONE side burner on a Napoleon Prestige P500RSIB for 10-15 minutes. Meanwhile, put a splash of Worcestershire sauce on the steaks, just enough to bind the seasoning to the meat. 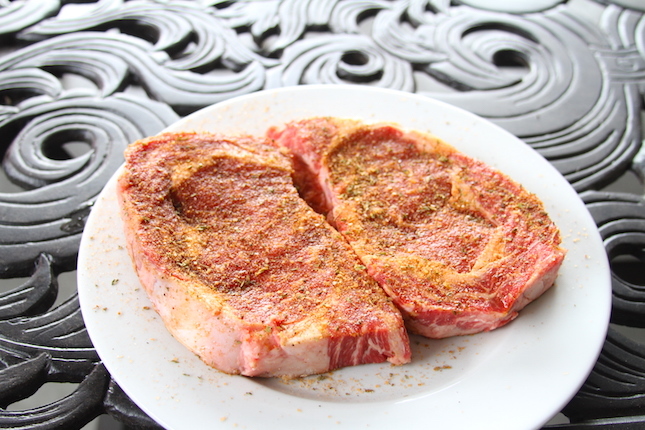 Then apply a layer of Cattleman’s Grill Steakhouse Seasoning to all surfaces of the meat. Step 2: When the pan is smoking hot, add just enough grape seed oil to cover the bottom of the pan. Place two sprigs thyme and one rosemary in the middle of the pan. Set the steak right on top of the herbs. 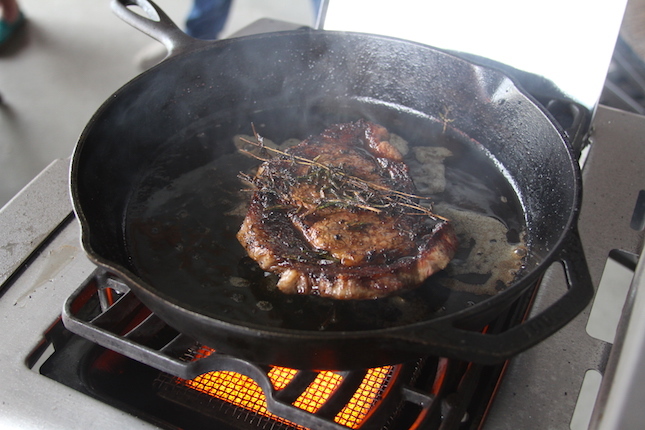 Top the steak with two more sprigs thyme, one rosemary. 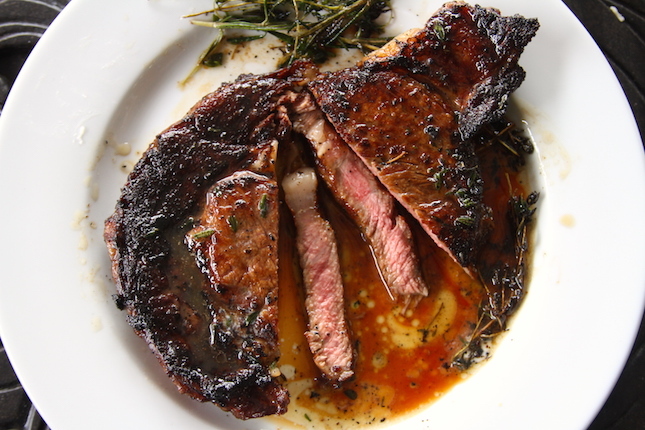 Using a towel to protect your hand, grab the handle and carefully tilt the skillet toward you and begin spooning the oil and juices from the pooled liquid over the top of the steak and herbs. You will want a metal spoon, something larger than a tablespoon. 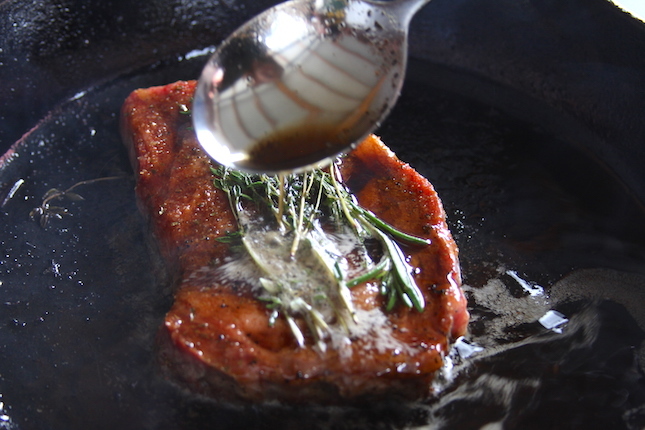 This basting will allow the steak to cook from both sides as well as infuse the aroma of the herbs into the steak. Do this for about two minutes, constantly basting. 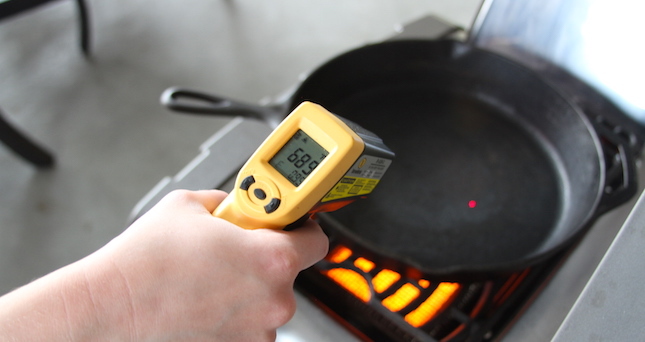 Flip the steak and continue basting until the internal temperature reaches 120ºF. There is nothing wrong with flipping the steak more than once, if one side is cooking faster than the other. Step 3: Have a plate set up with one tablespoon of butter in the middle to rest the steak. As soon as the steak hits 120ºF remove it from the pan and place it on top of the butter. Let rest 5 minutes before slicing.